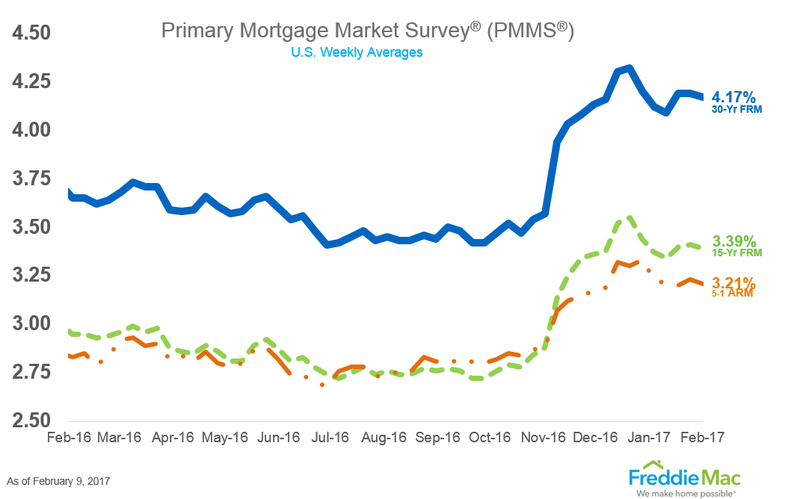 The Mortgage Bankers Association (MBA) Builder Application Survey (BAS) data for January 2017 shows mortgage applications for new home purchases increased 9.2 percent compared to January 2016. Compared to December 2016, applications increased by 22 percent relative to the previous month. By product type, conventional loans composed 67.2 percent of loan applications, FHA loans composed 18.6 percent, RHS/USDA loans composed 1.1 percent and VA loans composed 13 percent. The average loan size of new homes decreased from $331,354 in December to $329,806 in January. There were 21,000 completed foreclosures in December 2016, down from 36,000 the previous year. The “seriously delinquent” rate is at 2.6 percent, the lowest level since June 2007. 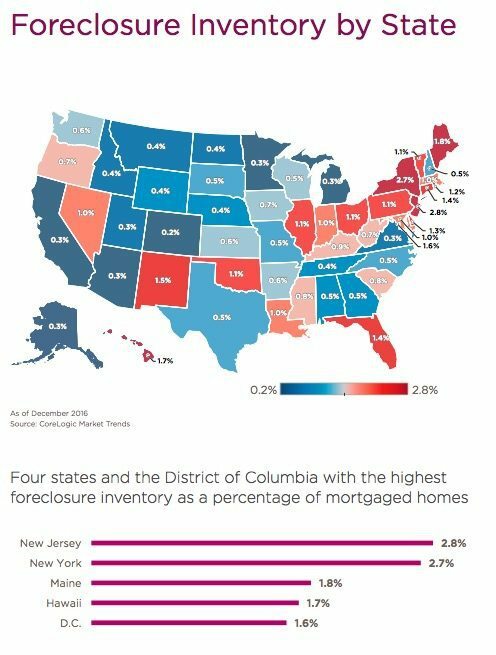 About 335,000 homes were in some stage of foreclosure in December 2016. 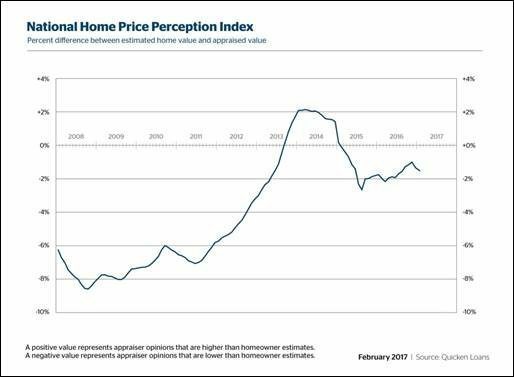 The national HPPI shows appraised values were 1.47 percent lower than homeowners estimated in January. Home values rise 3.93 percent year-over-year nationally, despite slight drop from previous month, according to the Quicken home value index. Appraisal values in January fell slightly, 0.34 percent month-over-month.